Carabelle is a 338-unit condominium nestled along West Coast Way, spread over 237,000 square feet of land, surrounded by low-rise landed property and lush greenery. Experience the delight of living in comfort and spaciousness at Carabelle. Let your senses come alive and enjoy a wide variety of pleasures as you step into Carabelle. Rejuvenate yourself amidst and abundance of recreational facilities at Carabelle – Sport a game of tennis or basketball, take a stroll in the gardens, have a sumptuous weekend BBQ gathering, take a dip in the pool or simply laze at the lounging areas. Life’s all about fun at Carabelle with so much excitement and amenities around you. Head down to Singapore’s largest entertainment complex at VivoCity, indulge in a day of golf at Jurong Country Club or enjoy a family picnic at the ever-popular West Coast Park. Reputable schools like the Nan Hua Primary School, Japanese schools and National University of Singapore (NUS) are within close proximity of Carabelle. 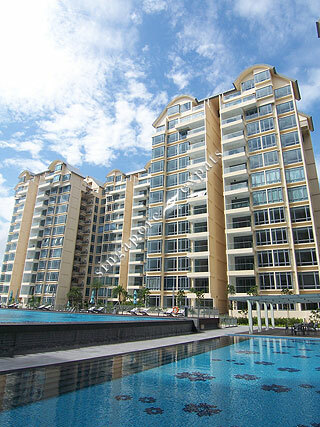 Carabelle is accessible via the nearby Ayer Rajah Expressway (AYE) and West Coast Highway. With travel conveniences of major expressways and Clementi MRT Station nearby, your trips throughout the island are made a breeze. Very Nice and Spacious Condo with huge Lap Pool and View!